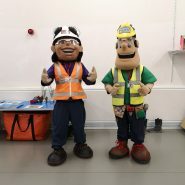 On Monday 28th January, Ivor and Honor Goodsite were delighted to visit the Year 5 children of Culloden Primary School in London for an assembly on construction site safety. At the start of the assembly, Ivor and Honor introduced themselves with a PowerPoint Presentation. 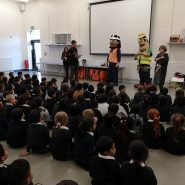 This was followed by a short lesson alongside their colleagues from Willmott Dixon about the levels of safety that is needed on a construction site. 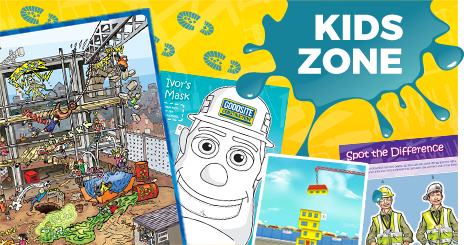 The children were then taken through the do’s and don’ts on a construction site and shown all of the PPE that Ivor, Honor and their construction colleagues have to wear to ensure their safety. 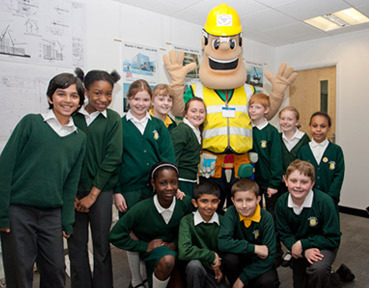 After this, Ivor, Honor and the Willmott Dixon team set a competition for the pupils to take part in. The children will make a known landscape from recyclable materials and the team from Willmott Dixon will return to announce 1st, 2nd and 3rd place. 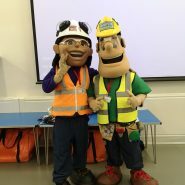 Good luck to all the children involved, Ivor and Honor had a wonderful time meeting them!